You might be tempted to float away at Flyt, as the restaurant and bar is located on a docked boat at Kajplats Kornhamnstorg. 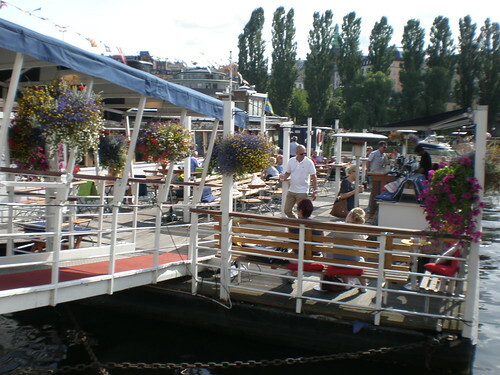 On a sunny day, the line-up for a table might be daunting, but it's worth the wait; the boat has a picturesque setting overlooking Södermalm on one side and Gamla Stan on the other. Their day-time menu offers mouth-watering meals like lambsteak, mussels, salads and crayfish, and their desserts shouldn't be missed. If you're looking for an summertime evening drink, have a seat on their patio and sip a glass of wine or beer. See www.flyt.se for more.